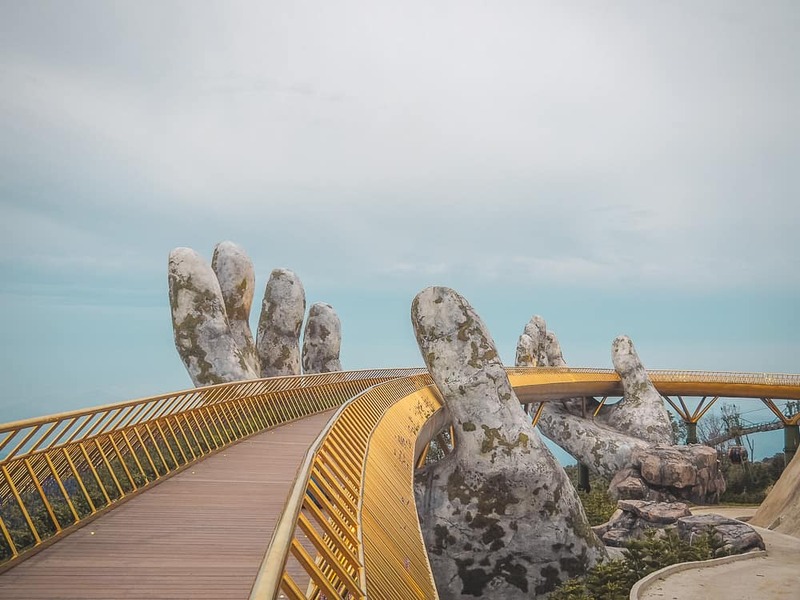 The Golden Bridge Ba Na Hills has recently gone viral across the world since it was first opened to the public in June 2018. Thanks to Instagram, this bridge has made it to the top of everyone’s bucket list and it is easy to see why! 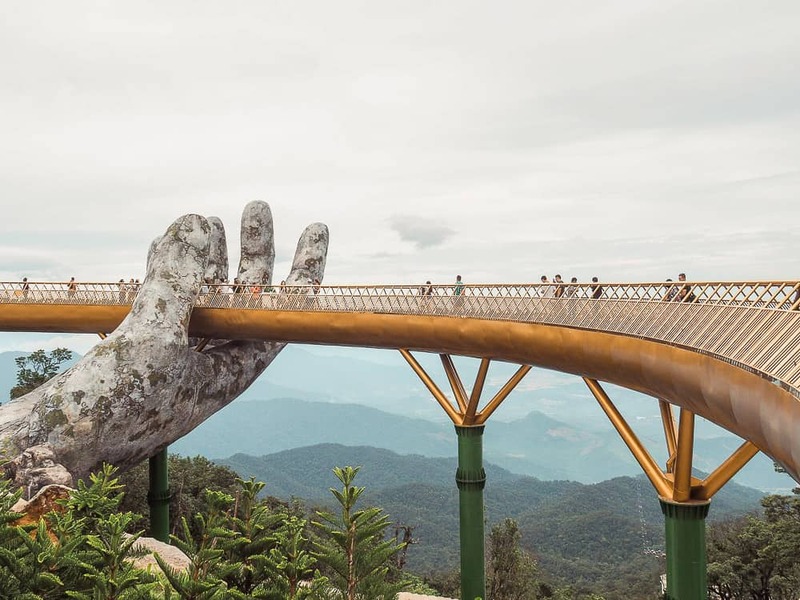 The Golden Bridge Ba Na Hills, also known as Cau Vang, is located 30km west of Da Nang City and it takes around one hour to drive from Da Nang to the foot of Ba Na Hills. 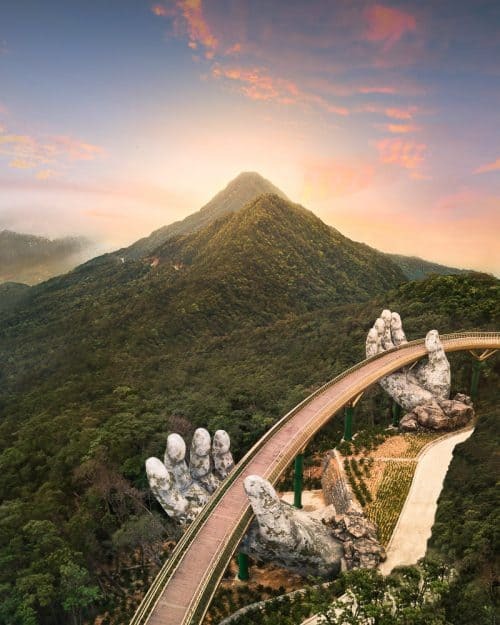 The Golden Bridge (Cau Vang) is the latest attraction at the Sun World Ba Na Hills fantasy amusement park. 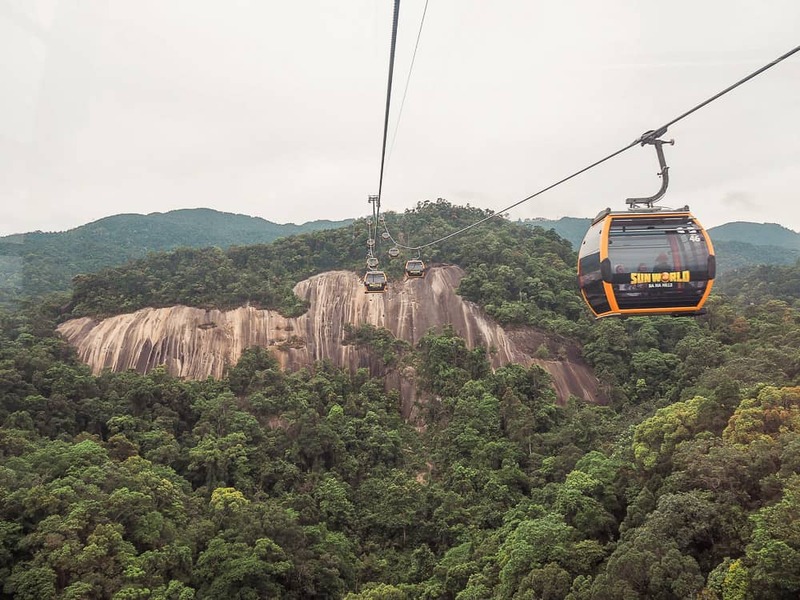 The only access to the top of Ba Na Hills is by a cable car, which happens to be the world’s longest single cable car system. Entrance fee to Sun World Ba Na Hills is 700,000 dong ($30) which includes the cable car ride and in my opinion, it is worth every cent. 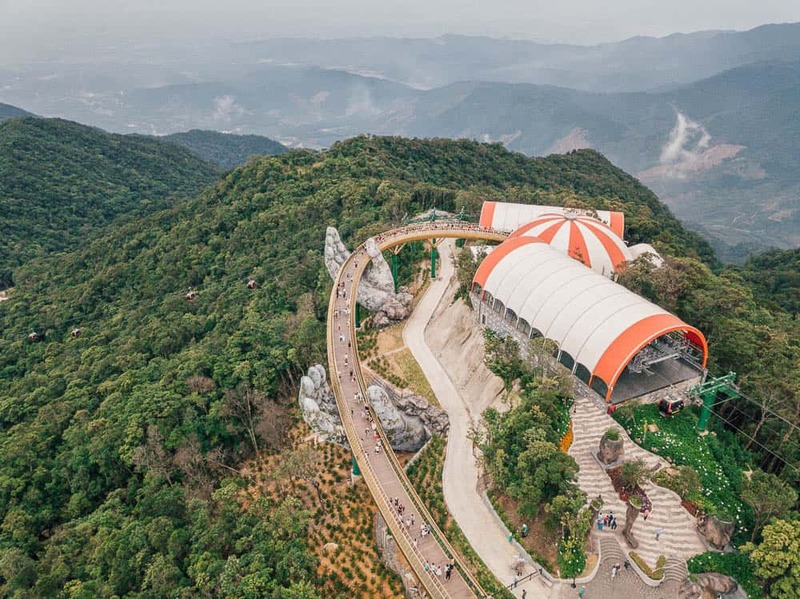 You can find the ticket office right next to the carpark and once paid you will receive a mud map of Sun World Ba Na Hills fantasy amusement park and each point of interest is clearly marked. God’s hands lifting up the Golden Bridge Ba Na Hills. 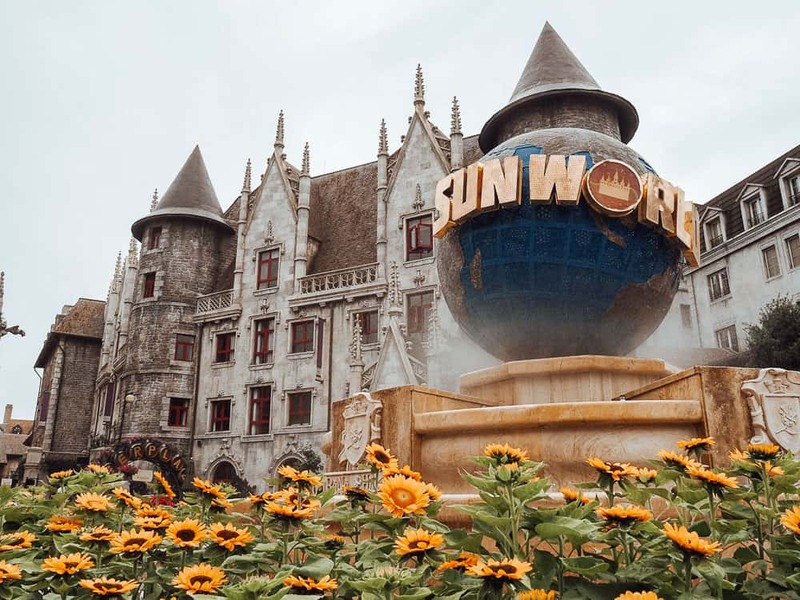 Sun World really is a fantasy land that recreates a French-style village with castles galore and cobblestone streets, sitting high above the clouds in Ba Na Hills. Sun World is rated Vietnam’s most popular entertainment areas and tourist attractions which brings in over 1.5 million visitors each year. 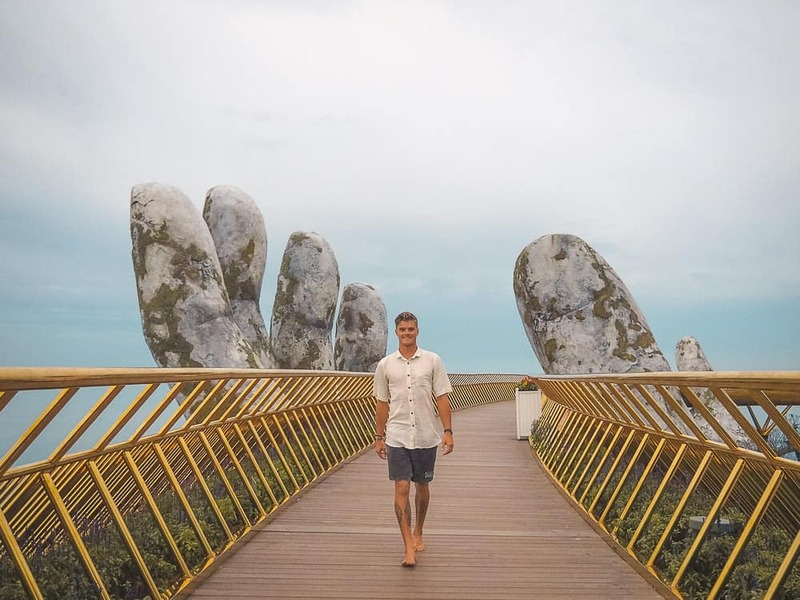 Visitors can enjoy attractions such as the French village, flower gardens, wax museum, spiritual pagodas, the golden bridge, Bavarian beer garden, a rollercoaster and a fantasy park. For all other accommodations in Da Nang Vietnam, you can click HERE to search on booking.com. 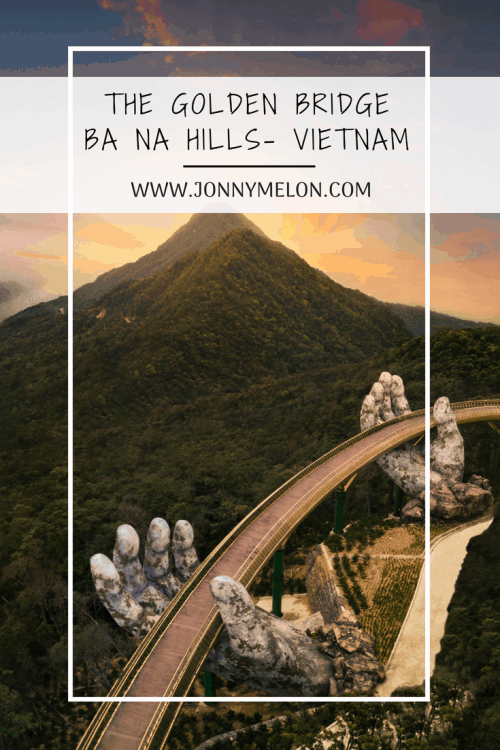 I hope you enjoyed reading this article and if you have any questions regarding the Golden Bridge Ba Na Hills please drop me a comment below. PIN IT FOR LATER !! 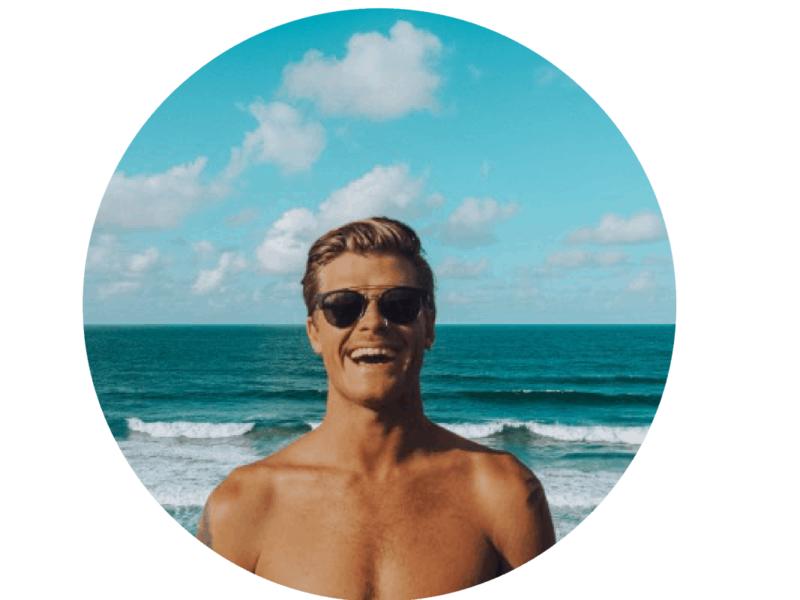 Wow…a fully charged Phone and Camera should be brought along! 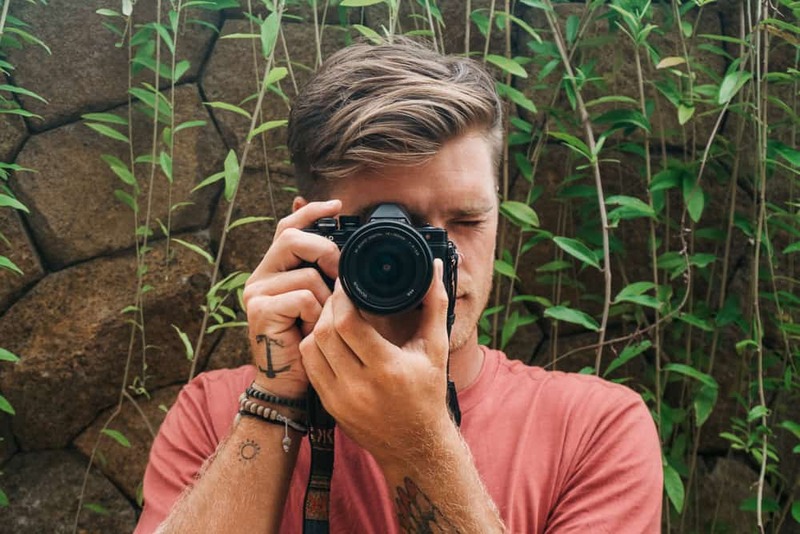 so many instagrammable spots! Nice! How do u get to this place from ho chi minh? 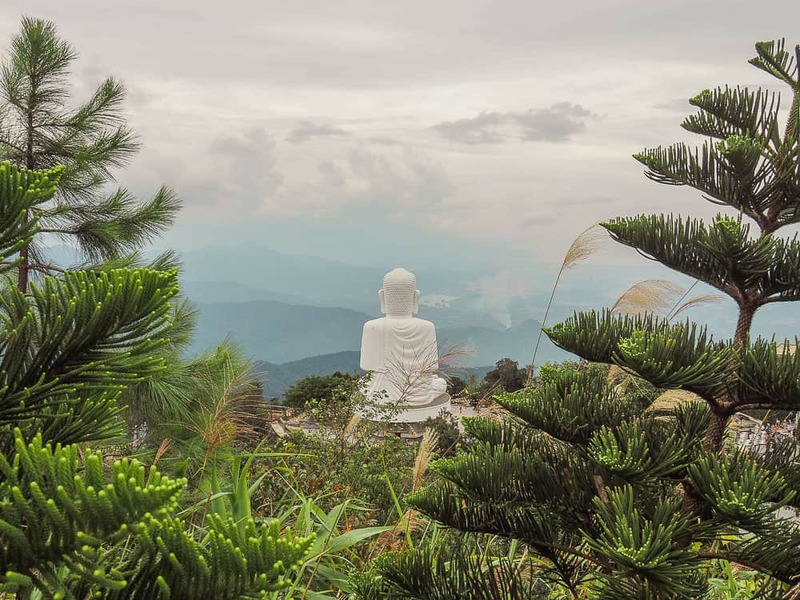 You can fly direct from Saigon to Da Nang and it is a one hour drive from there to Ba Na Hills. Looks amazing! Will be heading there in a couple of days when we get to Hoi An! Did you have any issues flying the drone at the bridge? I have my mavic air and am hoping to get some shots! It is such a cool place! Yeah, I got in trouble for flying the drone and I was even hiding in a bush. If you are stealth enough you might get away with it. What trouble do you get? Is it you must pay a fine or file remove? 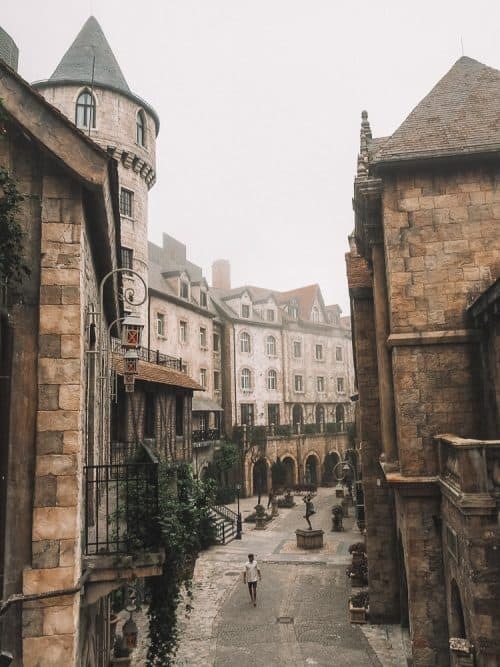 Hi what is the cheapest mode of transport going to Ba na Hills from the airport? I am travelling solo. Thanks. Hi, very nice shot. Which time do you go to the bridge to shoot when it has no people? can you advise me? Hi thanks for posting this, it’s really helpful. Do you know if I am able to only pay to go up and see the Bridge? I’m not really interested in all the other stuff. Thank you. Hi! If i pay 70000 dong for the entrance, do I have to pay extra for the skycab to see the bridge? Hi, great article.. Grabbed me, now I want to go.. .just wondering if it would be best to stay a night or two actually at the top, so as to avoid crowds in the evening.. Thanks for reading! Yes, if you wanted to stay one night at the top it is possible and indeed it will be less crowded!